Images courtesy of Transport for London, _QuiDam EsPELeTia__’s, http://www.my-london-breaks.com, intelligenttravel.typepad.com, http://www.iamclosetgeek.com and Audi. 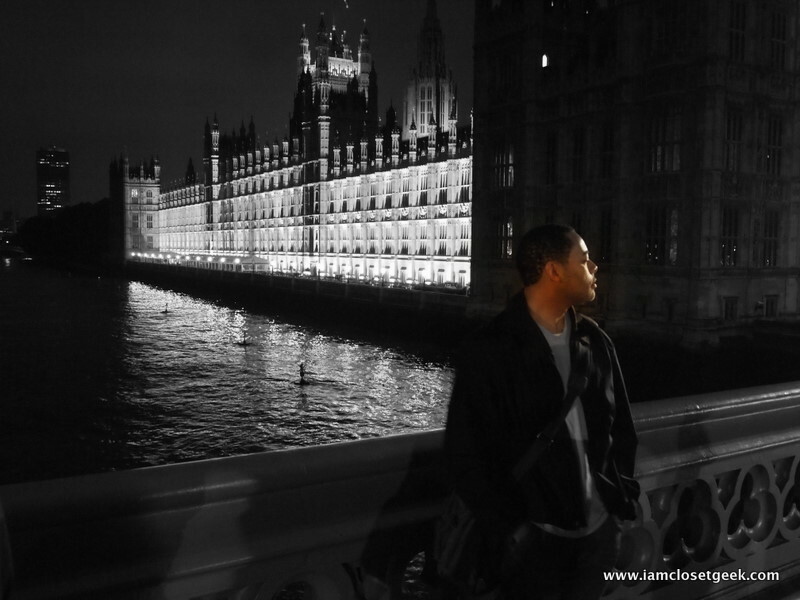 On my return trip to my land of birth I promised to find something “geek” to write about. Although London is visually old based on its buildings, streets, and history the country is way ahead of the United States in the technology scene. 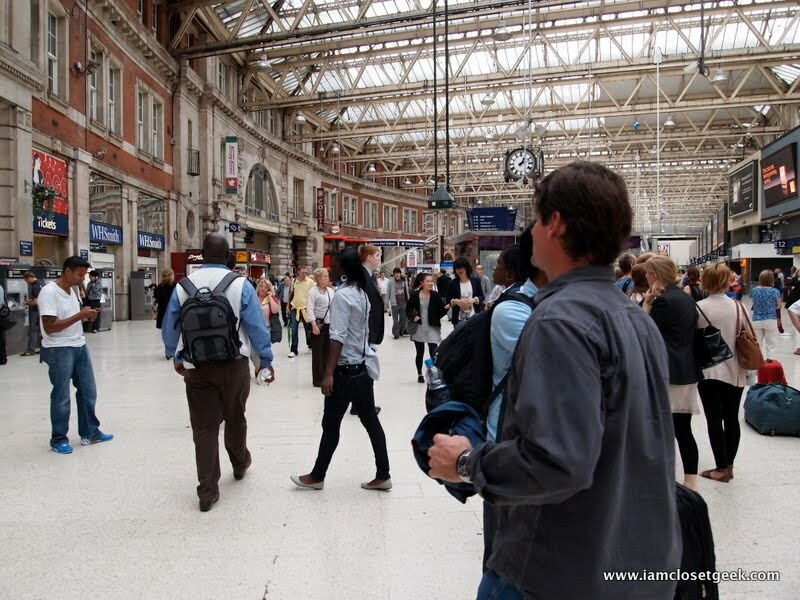 One “geek” aspect I love about London is the way people get around. Some Londoners choose to drive a car. 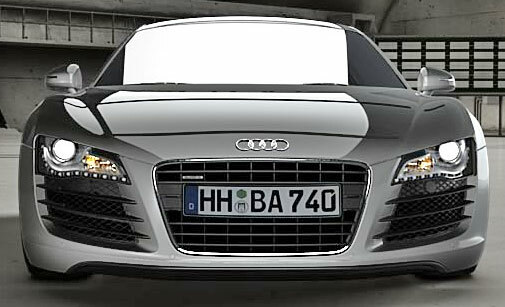 Vehicles can range from high priced Aston Martins, Bentley’s, the occasional right hand drive Chrysler 300 or even used Audi R-8’s. The guy who gave me a shape up at the barber shop proudly showed me his used R-8 that he was driving parked right outside the shop. This individual could not have been more than 25 but as most Europeans know, European cars come cheap over there. Others choose to be economical. 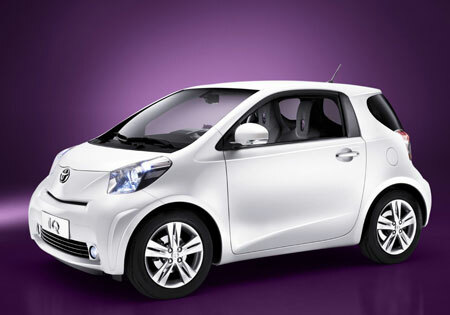 London streets are filled with many Toyota IQ’s. These vehicles are small enough to fit in London’s tight spaces and streets and are very economical. Cars are great but why have a car when London has the best public transportation system in the world. 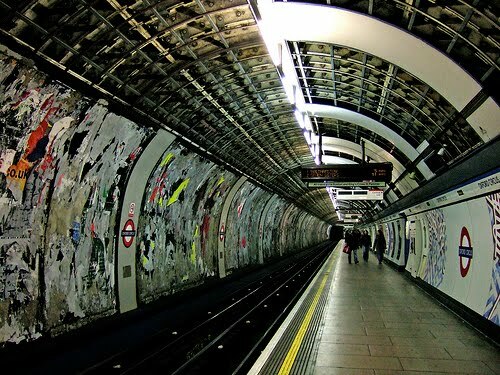 The Underground or “Tube” is the oldest subway system in the world. The system consists of 12 lines that are comprised of 275 different stations including both airports Heathrow and Gatwick. Most of the subway stops are no more than a short walk from most areas of London and are spread farther apart in the outskirts. Dont let this map of the underground fool you. It may look confusing but was very easy to follow. The wait is usually 2-5 minutes between trains. 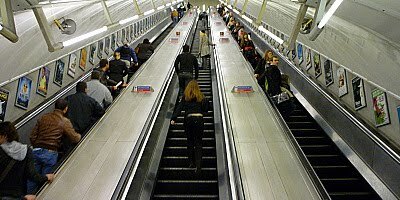 Even with such a short wait expect for the tube to be packed at times as this is the quickest way to get around the city. When traveling around I had to change lines a few times to get to my destinations but had no issues. 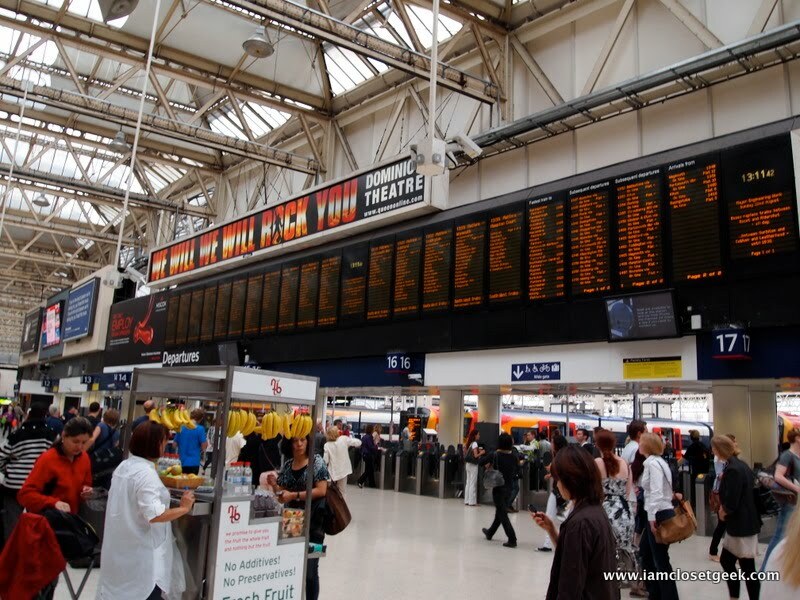 Announcements are made regularly on the train and LED banners are equipped on each train and at stations like Waterloo shown below. These banners explain the next current stop and forthcoming stops for the rest of the route the train follows. London’s underground is also known for its CCTV. 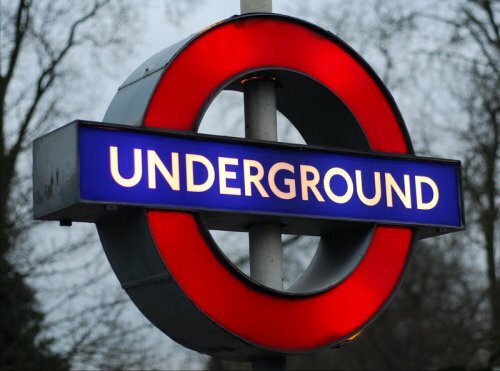 The underground has over 12,000 cameras which are monitored closely for crime ensuring the safety of passengers. There is expected to be 2000 more added for the upcoming 2012 Olympics which will be hosted in London. Oyster Cards or travel tickets can be purchased via cashiers or automated machines at most tube stations. I used an Oyster card to get around. Once the balance got low I “topped up” to replenish my balance. So easy. London also uses an above ground rail system called the National Rail. 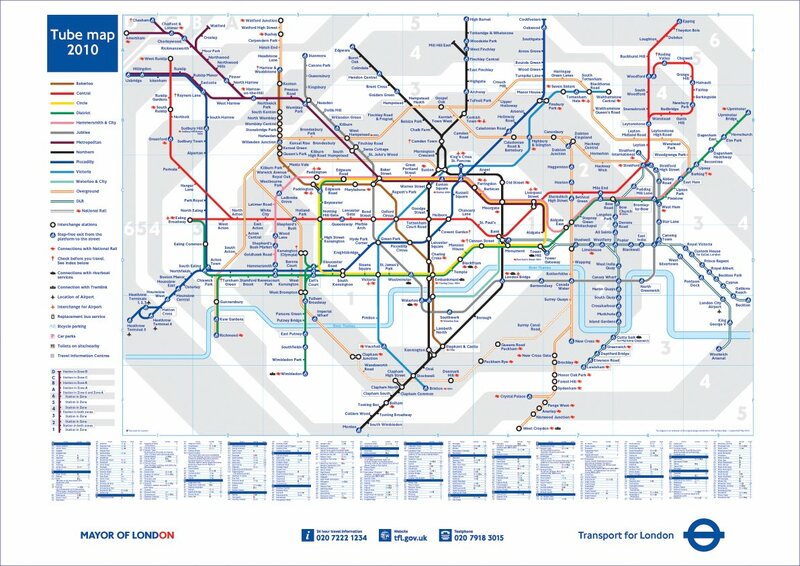 This system will get you to places that the tube does not run all the way to. This system also uses LED banners to let passengers know what is going on. I took a short video which is attached below. The only complaint I have about the tube is the heat. Being a few hundred feet under the ground with multitudes of people surrounding you can get unconfortable. Even with the walk thru door windows open on the train cars the heat can seem unbearable at times. When the tube cannot get you all the way to your location you can take a bus. This system is also intricate and will get one closer to their desired destination. 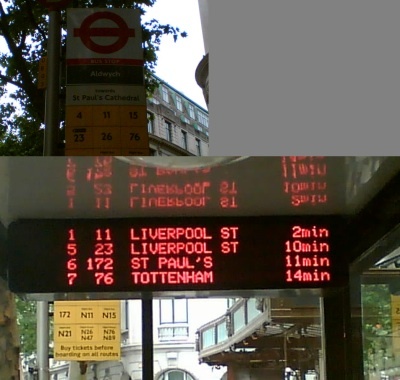 Double Decker’s and single deck buses are abundant, and bus stops are also equipped with LED banners that display Bus numbers and estimated times of arrival to keep users informed. 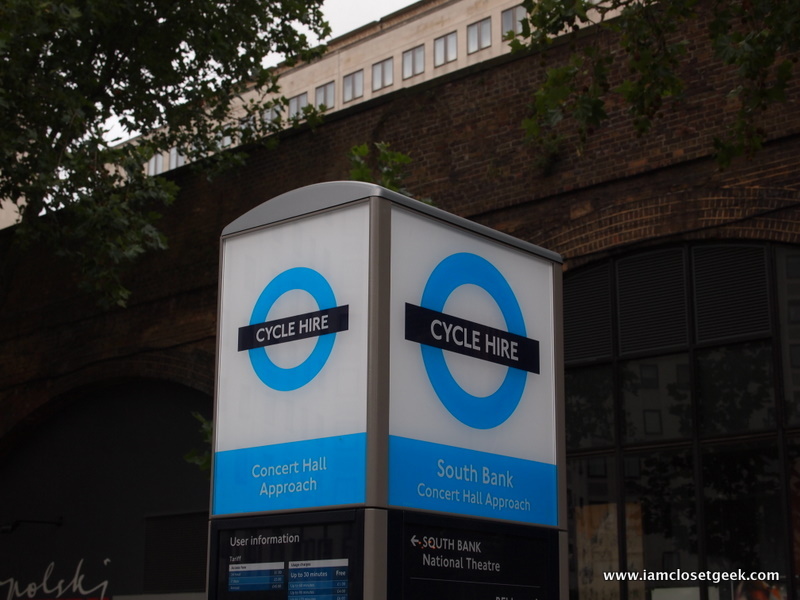 The coolest mode of transportation I saw was a service called Cycle Hire. 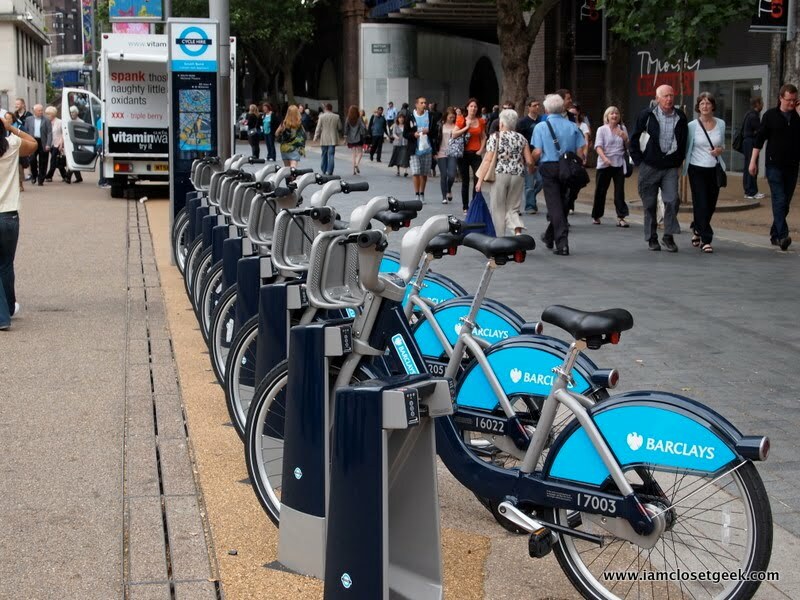 How this system works is one rents a cycle from a terminal docking station which usually has 10 cycles available for about 1 pound a day. 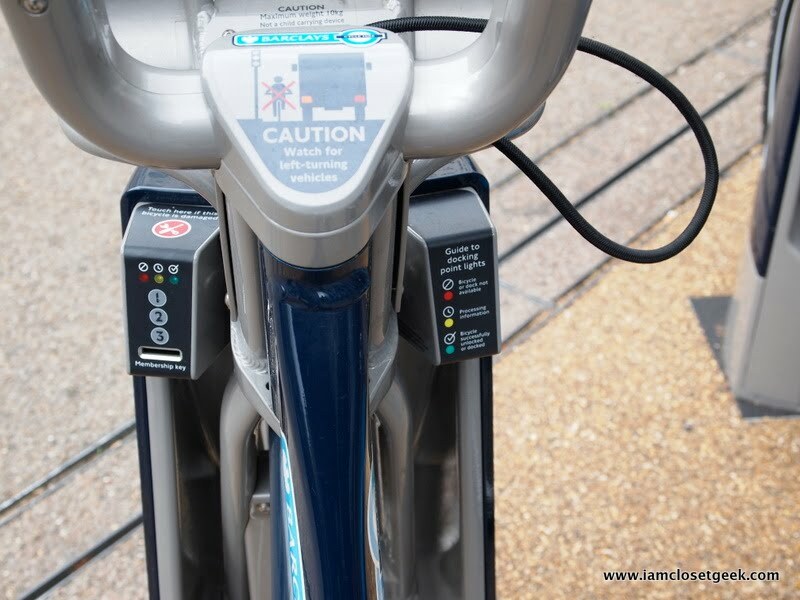 Once you get close to your destination you drop off your cycle at the nearest Cycle Hire terminal docking station for another user. Docking stations are displayed on maps showing locations around the city, and yes there is an app for that showing where docking stations are located for any web based mobile phone. So if your traveling to London I highly recommend using its different modes of public transportation. It is quick and affordable. If one system is down you have other alternatives to fall back on. 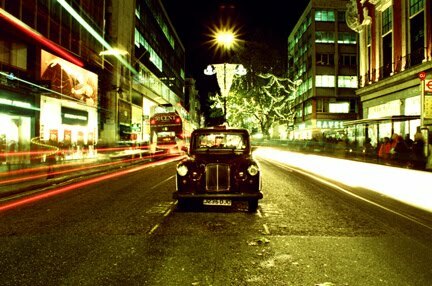 If all systems are down you can still flag down a trusty London Cab or use your feet to get where you are going. Great post…..I may have to feature your post on my blog. I would be honored. Made some revisions as well.